Since January of this year I have been working out on a consistent basis. I started out slowly and have been building and getting in better shape each and every week. Not only am I starting to see some health benefits to all of this exercise, but I am seeing improvement in my writing life as well. I now come home from the day job, exercise, and then get down to the writing part of my life. And you know what? Now that I am exercising before I write I am feeling more creative when I sit down in front of the computer. I am writing more words, in fact this month is the best month of writing that I have had in over a year. Each month this year I am writing more words than the month before and it is feeling good! Who knew that taking care of my physical self would help with my writing so much? I think that things in my life are finally starting to fall into place. Release Day for Port Stone: Dangers of the Swamp! 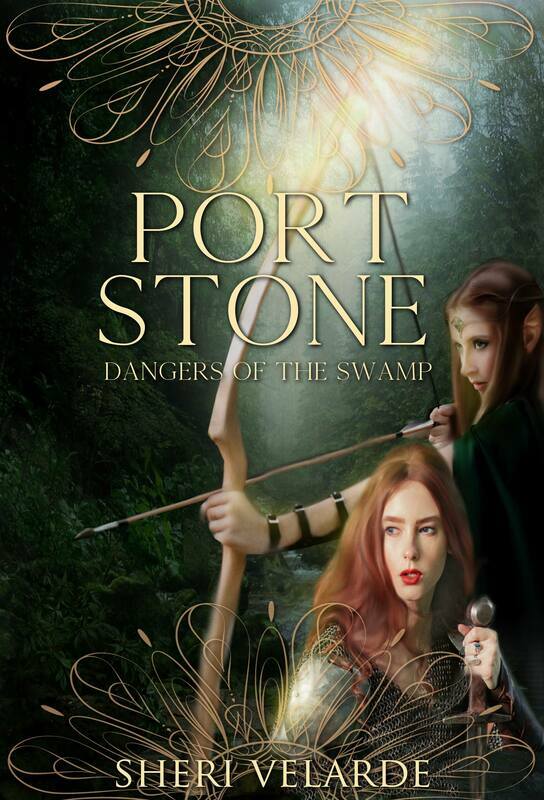 I am so happy that today is the release of my fantasy novella Port Stone: Dangers of the Swamp! I am so excited to be writing more fantasy and there will be two more Port Stone novellas out by fall of this year! If you like strong female characters or classic fantasy, Port Stone is the series for you! Book 1 is only .99 cents for the ebook! Tianna and Kara each came to Port Stone by request of their respective Orders to help an unknown elf, Phinelope. She never shows at the appointed meeting place, so they go in search of her only to find Phinelope murdered and more secrets than answers in this strange town. Never ones to let the murder of a woman go with no consequences, they take it upon themselves to avenge her death and find themselves becoming more involved in the mysteries of Port Stone than either of them ever intended. Join Tianna and Kara in this female led fantasy of danger, lies, and unanswered questions. A quick perusal of the pub showed that Phinelope had not yet arrived. In fact, no women were in the place other than the serving girl. As expected, everyone stared despite her hood being up. The serving wench came over and reluctantly took her order, walking away before Tianna had a chance to ask about Phinelope. The wench returned with her drink, dumped it on the table, grabbed the coin, and said nothing. Tianna felt that elves really were not received well here in Port Stone, though she had no idea why. In towns and villages, her kind were always treated with respect. Why were things so different here in this city? Deciding that it didn’t matter, she let her hood down, her dark green eyes flashing at those who stared even more openly at her. Before she could ponder for too long, the door opened and another female came in. A tall, redheaded and striking human woman looked around, her blue eyes squinting to see in the dimness. She, too, stood out being all in armor and carrying a large Warhammer. Tianna immediately felt a kinship to this newcomer. She spotted Tianna and headed towards her. “Phinelope?” she asked. “No, my name is Tianna, I had hoped that you were Phinelope, though I had assumed she, too, to be an elf. I am here to meet her as well. Please, sit, we can wait together.” Glad to have company that didn’t seem to stare at her with distrust just because of her race. “Indeed. This must be something important if the Druids and the Clerics are both involved. Who exactly is this Phinelope?” Kara asked as she signaled for an ale to the passing server. New Flash Fiction Anthology Out Today! FLASH FICTION ADDICTION is available today in either Paperback or Ebook form. 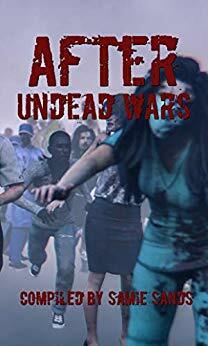 It includes my story and 100 other authors jam packed into a single book. 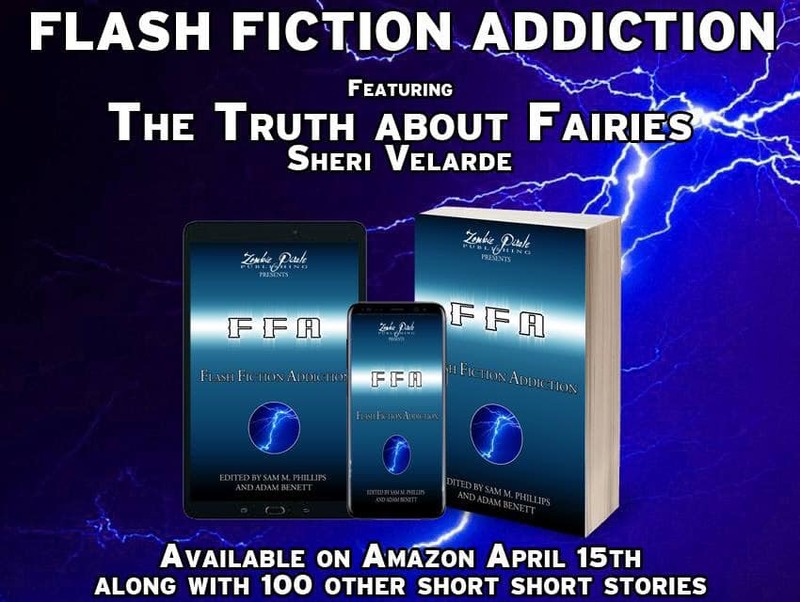 I am so proud to be included with so many other authors and I am pretty proud of my story, The Truth About Fairies! I might even start a new series based on this little short story, that's how much I love this story! But right now I must also have a day job. And while I do like my job in accounting, I have been thinking about finding a job that I can do anywhere since it is likely that my spouse and I will be moving within the next few years. I want something that I can do no matter where we move to. So I have been thinking about combining my need for flexible yet steady income with my passion for getting back in shape. So I am thinking about becoming a certified personal trainer. I would like to specialize in people like myself, people working on getting back in shape after health setbacks. I think that it could be a good career for me, something that I really care about and am passionate about. It is also something that I could do no matter where we end up moving. I am just in the beginning phase of this endeavor, so if I have any readers who are trainers, please let me know which certifications you personally received. I want to get the best certifications that I can get for a reasonable price. I also want to make sure that I learn as much as I can. Drop any information you can share in the comments! How is it April already? One third of the year is already gone! That means its time for me to assess my goals for the next quarter of the year. The first three months of 2019 were pretty good all things considering. I have written more each month, I started exercising again and am making slow progress in that area. I have read 17 books so far. All forward progress. Now that it is April I am committing myself to a couple challenges to keep my momentum going. Starting on April 1 I have decided to walk at least one mile for the next 100 days. I plan on doing more than one mile most days of the challenge, but even on busy days or days when I want to do nothing I am at least doing a mile. I think it's important to get into a real habit of being consistent on my workouts and I have lots of support with this challenge. I am also taking part of the Camp NaNoWriMo this month. Now I am not trying to write the 50K words that I would try to do in November, but this month I am trying to get 25k words in. I am hoping to finish book two of Port Stone and get it to my editor by the end of the month. I also want to get closer to finishing Quest for Self so that I can get it to my editor by the end of May. Lots of writing to be done, especially with edits in the mix. I am also going to be working more on my art this month and for the rest of the year. I am not only painting miniatures, which is an art form all in its own, but I also am going to teach myself how to oil paint. I have a new art setup and am excited to see what I can learn and do. I have a series in mind, but first I want to get comfortable working in a new medium. Last quarter was a good start to the year, now let's see what the next three months have to show us! Port Stone: Dangers of the Swamp Available for Preorder Now! I am so happy to say that my fantasy novella, Port Stone: Dangers of the Swamp is now available for preorder for only .99 cents! It will be out April 20th and I am so ready for this book to go out in the world. I am already working on the sequel which should be out in July and the third and final Port Stone book will come out in October. Want a little taste? ​Tianna and Kara each came to Port Stone by request of their respective Orders to help an unknown elf, Phinelope. She never shows at the appointed meeting place, so they go in search of her only to find Phinelope murdered and more secrets than answers. Never ones to let the murder of a woman go with no consequences, they take it upon themselves to avenge her death and find themselves becoming more involved in the mysteries of Port Stone than either of them ever intended. Join Tianna and Kara in this female led fantasy of danger, lies and unanswered questions. Today I thought that I would get a little real here on my blog, have some real talk about some anxiety and depression issues that I have been going through and talk about how that has been affecting my writing and art. So yes, I suffer from anxiety and depression both. Usually my anxiety spirals out of control until depression hits. Then I calm down and it all starts all over. Sometimes there are triggers that I can identify, sometimes there aren't. My depression has been rather bad for a couple of weeks, then I had a very emotional weekend and now today is a real struggle. Now here is something that people don't understand, even good changes and emotions can become overwhelming for me and send my anxiety sky high while adding to my depression as well. So something good actually sent me this low, well then last night I found out some sad and disturbing news that has just made today difficult. 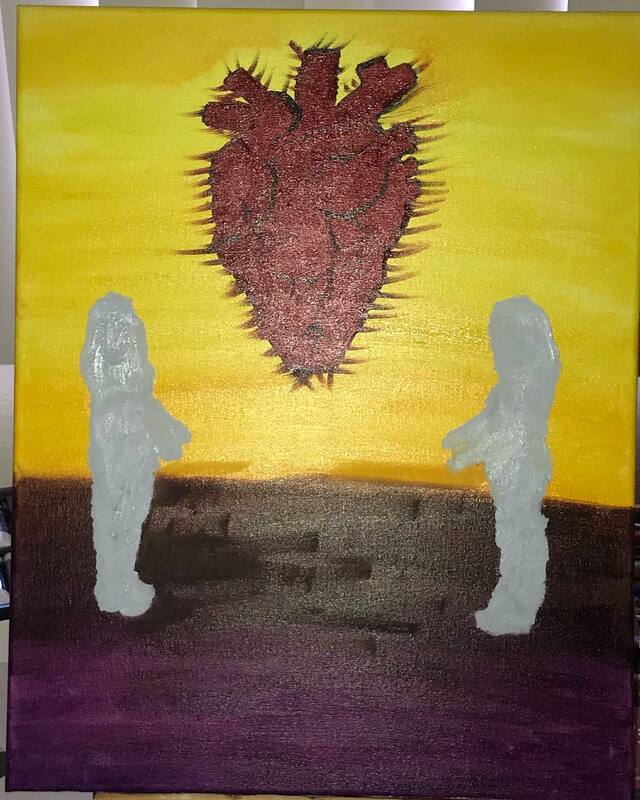 So how does this affect my writing and art? Well I am finding it hard to concentrate and to even motivate myself to get up and do anything. I managed to make it through my day job and to get some exercise in. That's it. Now I am trying to write this blog. I should have picked a topic that promoted my books or writing in some way, but all my mind can think about is the spiral of worry and doubt that it is stuck in. That will make it really hard to write, but I will try to anyways and I guess see where it goes. Why such a private topic? One as I mentioned that is where my mind is. Two I have been talking to the writing community on Twitter about mental illness and how it affects us as authors. I thought that I would carry that topic over to my blog. I have been trying to add more about mental illness into my writing this year, helping to make my writing more representative and more authentic to who I am as a person. This is where I am today, depressed and anxious, but still trying to write no matter how hard it is. Have You Checked Out my ASMR Youtube Channel? This year I started a new adventure, a YouTube channel that combines a lot of my passions. I talk about books, writing, gaming, painting and more, all while whispering and providing other ASMR sounds. It's a channel that is very me! Here are a couple of my latest videos in case you interested in check them out! Thanks!